First images have emerged of Stena Line’s major new fleet investment programme, which will see three new E-Flexer RoPax ships introduced on its Irish Sea routes during 2020 and 2021. 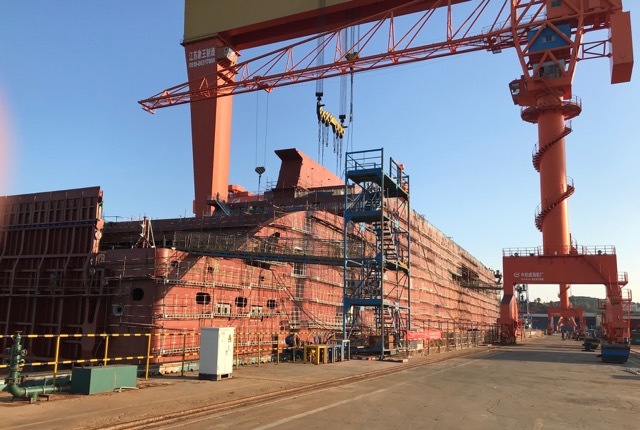 The company has just reached an important milestone with the recent steel cutting of the third E-Flexer RoPax ship, which means that all three of the new Irish Sea ferries are now on schedule and under construction at the Avic Weihai Shipyard in China. 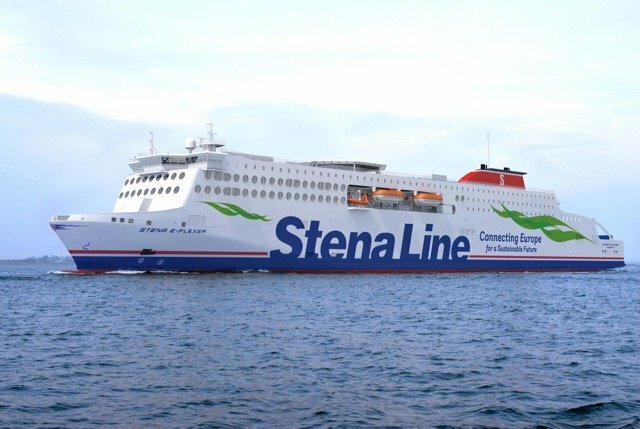 The first of the new vessels will commence operation on the Holyhead to Dublin route in early 2020, with the remaining two ships to be introduced on the Liverpool to Belfast route in 2020 and 2021. All three Irish Sea E-Flexer vessels will be bigger than today’s standard RoPax vessels at 215 meters long with a freight capacity of 3,100 lane meters and the space to carry 120 cars and 1,000 passengers. Stena E-Flexer – artist impression: This is how Stena Line’s new E-Flexer ships will look when they commence operations on the company’s Irish Sea routes during 2020 and 2021.